How Can You Celebrate International Day of Forests? Rock Lake, Algonquin Park. Photo by Hans Heim. Spring is on the way and we couldn’t be happier. Nature’s colours reappear, scents of greenery emerge, and a world that seemed so dull becomes alive once again. We appreciate this time of year because it renews excitement in our lives and reminds us how remarkable our environment is. Interacting with our parks and forests is an imperative part of human health and life, and we need to continue working toward sustaining the wellbeing of our natural environments. March 21 is International Day of Forests—a global celebration of our forests. This is a day to reflect and remind us how vital our forests and trees are to the planet. Forests are the most biologically diverse terrestrial ecosystems and cover one third of the earth’s landmass. They are home to more than 80 percent of land species of plants and animals, and help balance the oxygen, carbon and humidity in the air. Forests are also downright beautiful and an Earth without them would be unliveable. The theme of this year’s International Day of Forests is “Forests and Climate Change.” Despite all of the crucial things our forests do for the planet, deforestation still occurs at a high rate. That’s why working towards solutions for developing and sustaining our forests and reducing greenhouse emissions is extremely important. 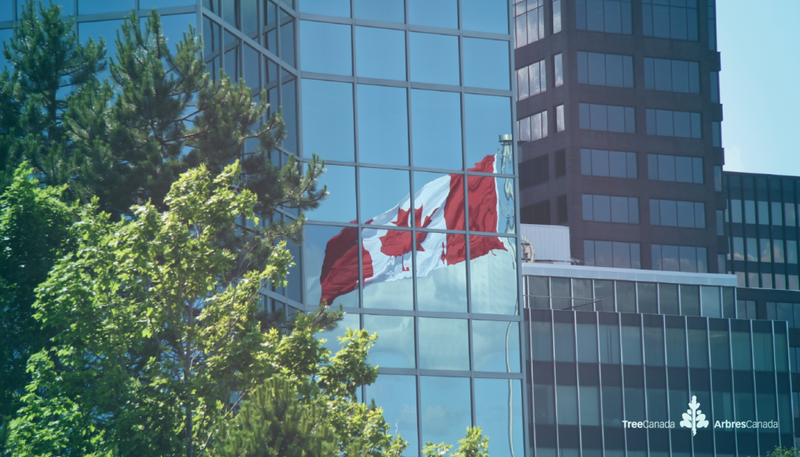 Canadians have eagerly awaited the launch of Tree Canada’s new online carbon calculator. It allows people to input their transportation and energy usage details to calculate their emissions in number of tonnes of carbon dioxide (tCO2). The most exciting part of this feature is the ability for users to offset their emissions through tree planting. People can pick and purchase what type of tree they would like planted and Tree Canada will plant them within their national planting zones as part of the national greening program. 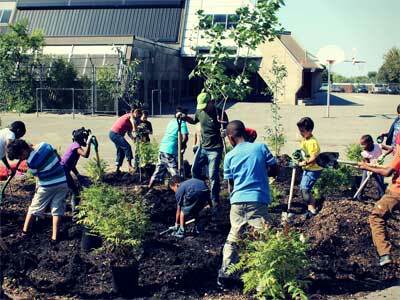 In February, Tree Canada proudly launched the second annual 10,000 Tree Challenge. Individuals, companies, and groups alike, are invited to join in an effort to plant 10,000 trees across Canada in celebration of Earth Day, which falls on April 22. 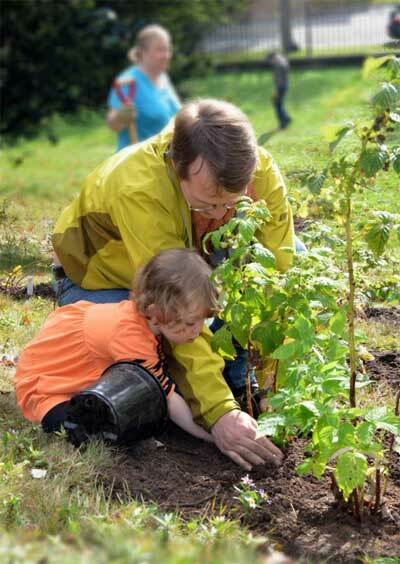 Last year’s event surpassed expectations and 10,021 trees were planted across the country. Contributions came from school fundraisers, green committee contributions, and employee appreciation initiatives. 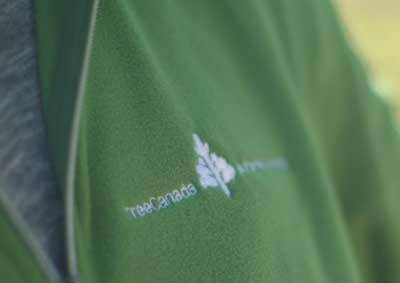 Tree Canada is hoping for a higher total of trees planted during this year’s challenge. What better time to raise awareness of the importance of forests and trees than in the spring? It’s the perfect time to discover ways that we can give back to the environment and work towards a healthier neighbourhood, city, country, and planet. Go out and enjoy the wonderful spring weather when it arrives. But remember to return the favour, and give a little something back to the environment that so graciously provides for us. 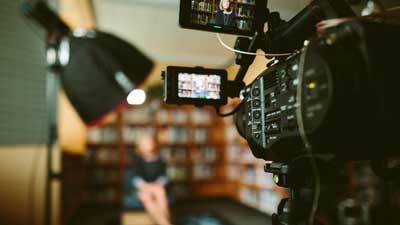 John Leonard is currently completing a six-week field placement with Tree Canada as part of Algonquin College’s Professional Writing program.